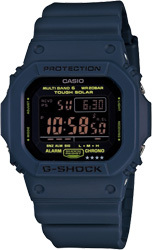 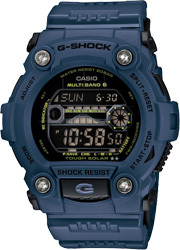 These new Navy Blue Series additions dress up a number of popular G-SHOCK models in a deep, dark, navy blue hue. 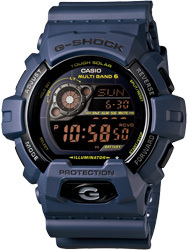 All models feature light-colored text on black faces for a distinctively handsome look that is packed with Tough Solar, Wave Ceptor, and a variety of other powerful features and functions. 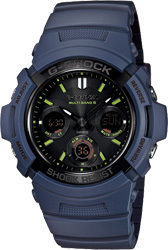 A great choice for just about any hype of casual wear.